Spanish wine distinguishes itself from any other variety in the world. A unique blend of flavors, developed since 800 B.C. has led to the proliferation of striking, full bodied wines. 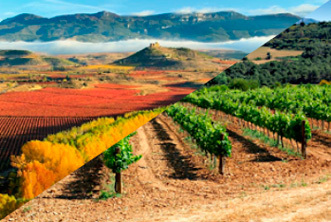 Experience prime wine country in this expert led tasting tour of the Iberian Peninsula. 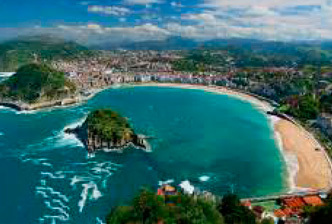 Learn to appreciate Basque cuisine with a crash course led by a 400 year old culinary society in San Sebastian. Wine tastings and tours at innumerable wineries. Begin your sommelier training with tastings and aromatic lessons in wine country. Indulge in the famed tapas of the region, pintxos, with a local expert, cluing you in on the best hidden corner cafes and select wine pairings. Be treated to a once in a lifetime meal and culinary experience as you enter a 400 year old gastronomic society in San Sebastían. Essentially a food family, exclusive access to a tight-knit and welcoming society is truly a unique opportunity. If in season, rub shoulders with the stars backstage at the San Sebastían International Film Festival. Embark on a day trip to Bilbao to visit the Guggenheim Museum. A short ways away, Penedés offers more of the same in rustic farmhouses and grand wineries. Cloaked in the shadow of the mountains, and fringed by serene Mediterranean beaches, Penedés offers both delectable reds and cavas (sparkling wine). From North to South, Spanish tapas truly delight any diner. 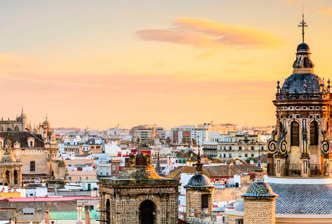 Take a stroll through the winding streets of Sevilla sampling fine tapas and wines. A short ways South, stop by Jerez de la Frontera for a winery tour at the birthplace of Spanish sherry wine. Witness a truly unique experience; a private, back-room flamenco show accompanied by wine and ham platters in a local, family run bar. Work off some of the calories by biking through the picturesque Sevillan countryside, or use an electric bike for those pesky hills – we won´t tell!